Despite all the big, grandiose sites that one sees while traveling - the Petra's, the Pyramids, the ancient rock-carved christian monasteries of Ethiopia, for example- , it is often the more mundane day-to-day tasks that can be the most memorable. Simple things like doing laundry, or buying train tickets, can put you in strange, hilarious situations with local people, and sometimes half the fun is in these little everyday journeys, not just the grander destination. A perfect example of this occurred today, as I finally made it to the Embassy of the Islamic Republic of Iran, in an attempt to get my tourist visa. Located in south Hezbollah-controlled Beirut, and a good round-a-bout 15 dollar taxi ride away from my hostel, the efforts I am making to get this visa surely speak to how excited I am and how much I want to visit Iran -but the whole experience itself makes for a damn good story too. The imposing outer beige walls, guarded by a man with a machine gun, became friendlier once through the initial gate. A quick search of my bag, (as the x-ray machine seemed to be more for decoration than actual use), a gentle smiling reminder to don my headscarf, and a helpful man showed me the way to the correct building inside the compound. I opened the door and found myself in a little doctor's office-like waiting room, where there sat a woman in a long black manteau and hijab with her adorable little girl, and a very traditionally dressed Shia man who could have been Ayatollah Khomeini's long lost twin brother. If only I could have taken a picture! It was priceless. As I sat awkwardly with my scarf draped over my head, staring at the water cooler, the man behind the glass tapped and beckoned me over. After much searching through stacks of disorganized paper, frustrated looks on his face, he managed to find my reference code faxed from Tehran and handed me the application form to fill out. Once completed, (and ugly little head-scarfed passport photo attached) I was told I had to go to a specific bank in Beirut, an Iranian one, to pay the 50 Euro fee (Euro's, not American dollars, which is all the rest of Beirut accepts), and bring back a receipt. So I had to take the taxi, yet again, to this particular bank across town, then back to the embassy, put my hijab back on, and hand over the receipt. Fairly easy, just a lot of running around, and I think my driver was growing pretty fed up with everything Iranian at this point. Now, after all is said and done, my application is being "processed", along with my passport. I have been told to return on Monday to pick up the visa, "Inshallah" (god willing), which makes me somewhat nervous as this saying is often used to described something that is likely to never happen. After all this effort and expense, I better get it! Though nothing is certain, the man behind the glass held his hand to his heart and said "welcome" as I left, so I have a fairly good feeling. Everyone there was actually very helpful and kind, I just hate my passport not being on me, and rather in the hands of some Iranian bureaucrat! Ah well... it's in God's hands now, I guess (God is an Iranian bureaucrat?). I hope he approves, and in the next week I find myself on a flight to Shiraz. Pity that the bank is not near the embassy...or in the embassy. I hope you have a great trip to Iran. 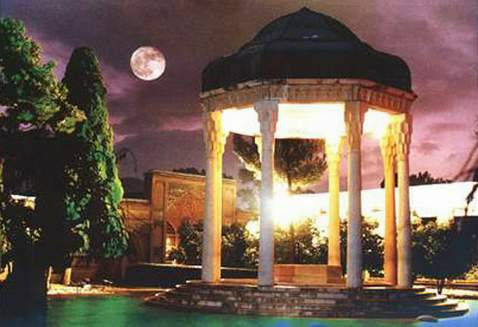 I have a friend who said that Isfahan is spectacular to visit. They also make the coolest carpets there!